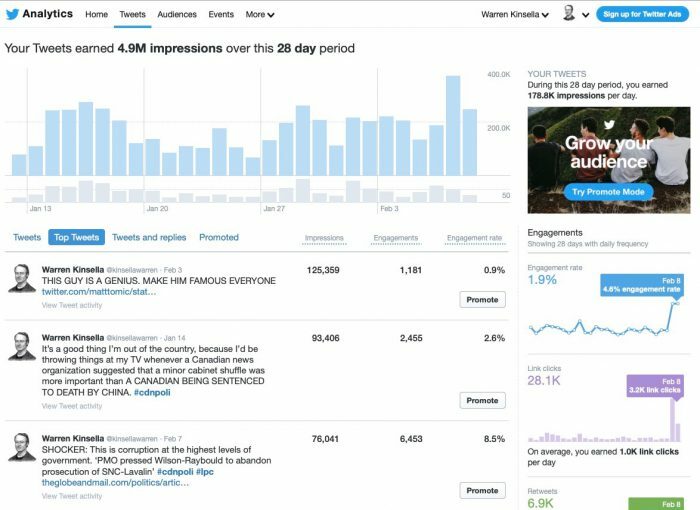 Apropos of nothing, my Twitter metrics suggest that #LavScam is only just getting started – on my feed, at least, other stuff is still dominating. Early days. If you don’t have a subscription to the Globe & Mail to get behind the pay wall and read the stories, GET ONE. There is some REALLY juicy stuff coming over the next few months. As a card carrying Conservative and as a Contractor that has had dealings with SNC I’m torn,I would like to see what I think is the most vacuous Prime Minister in history removed from office and have just about anyone else in the Liberal party take over, and, would absolutely love to see SNC die a slow and painful business death. I’d take both, but, if I had to choose one it would be to see SNC get what they deserve. One G&M subscription purchased, the winter just got shorter. Well, for some. For others there appears to be storm clouds on the horizon . . .